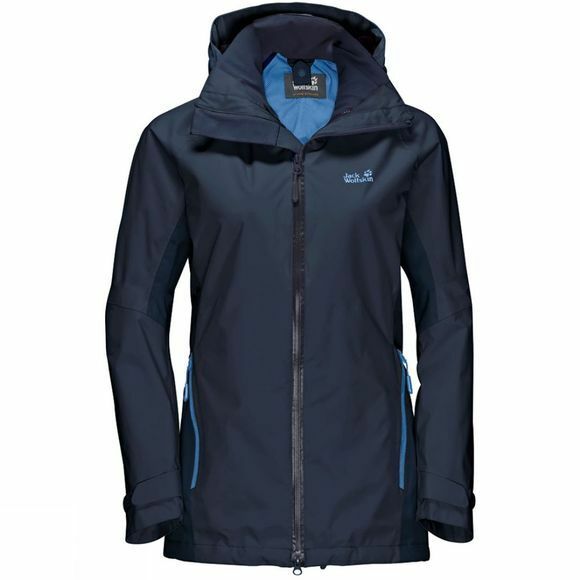 On long–distance trails or day hikes, up in the hills down in the lowlands, in rain, snow or sunshine – if your hiking season spans all regions and all seasons the Womens Colorado Flex Jacket jacket is for you. This rain jacket is made of extra soft Texapore fabric and equipped with flex zones for superior wear comfort and mobility, from the first step to the last. When you're on the move a lot, you're going to sweat from time to time. That's when the pit zips come in handy. And talking of zips, Jack Wolfskin's Colorado Flex features a System Zip, meaning it can be combined with a compatible inner jacket in winter, so you get to wear it all year round.